8. Just Call Me Betty C.
I started out this list with the intention of learning and adding to my recipe book. Being the traditionalist, brand spank’n new wife that I am, my original intent was a cake, casserole maybe. What this challenge turned into was even better than I could have ever dreamed. 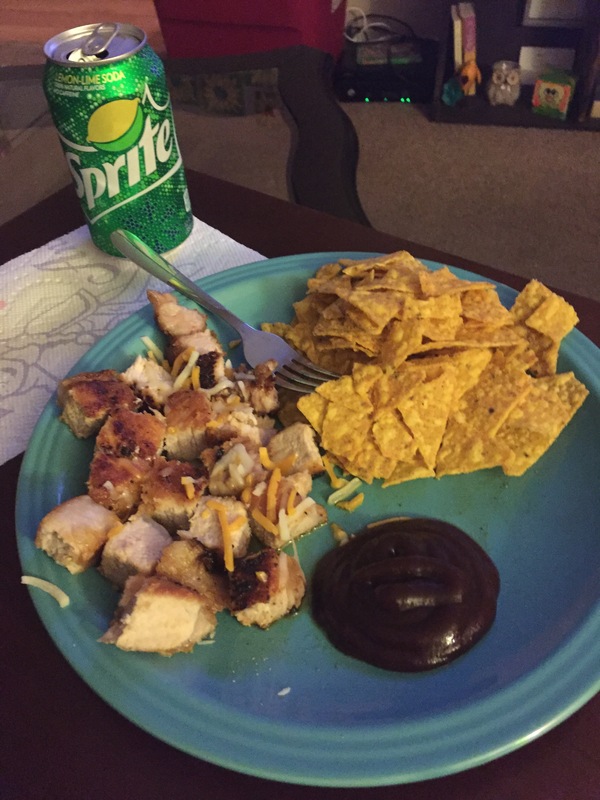 My husband and I started the Advocare Cleanse last week. I’m not allowed to lose weight because of my ALS but I wanted to be a motivating force for this lifestyle change for both of us. We’ve been focusing on portions, eating at home, and clean eating. This dramatic shift from our typical week of eating out most nights has required planning, patience, and practice from the both of us. Our week of cooking dinner together has been SO MUCH FUN!!! We have enjoyed experimenting with different ideas, failing and salvaging, sitting down together to taste our latest creation and watch Greys Anatomy. Our first attempt was whole grain pasta with corn, lean hamburger meat, pasta sauce and cheese. My Mah called it Italian Delight growing up, and served it with buttered bread. So delicious I forgot to take a picture. 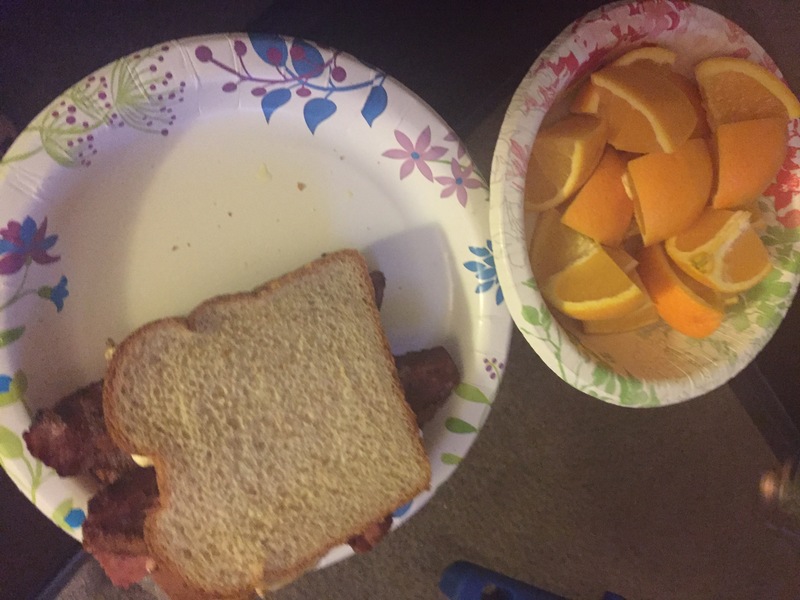 Our second attempt was egg, cheese, and bacon samiches – something we perfected on our mini moon at the lake. Again, too good to stop and photograph. Last Fridays dinner will go down in the history books as a complete wife win! 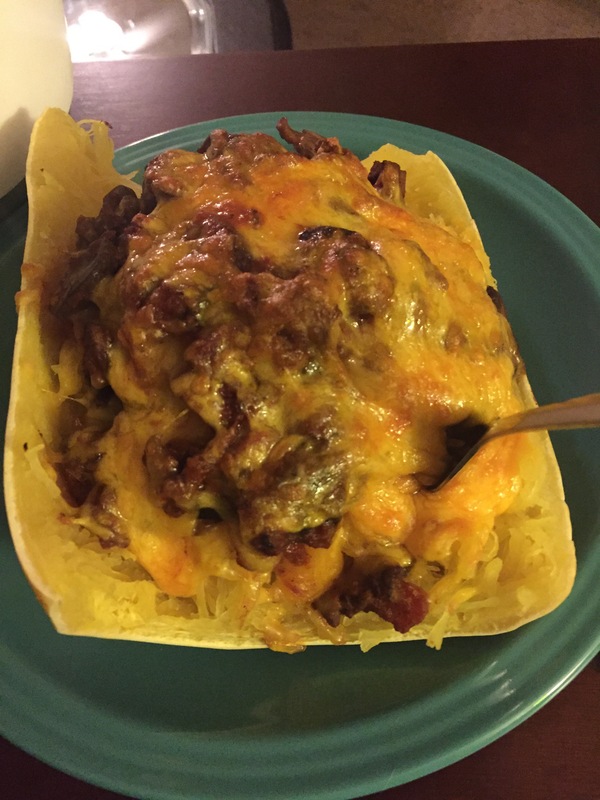 My “meat and potatoes only, no exceptions” husband finished his entire half of the spaghetti squash and said it was good 😳 We cooked it in the microwave and topped it with spaghetti sauce, lean hamburger meat, mushrooms, and cheese. Absolutely amazing! Tonight’s meal was easy and successful. 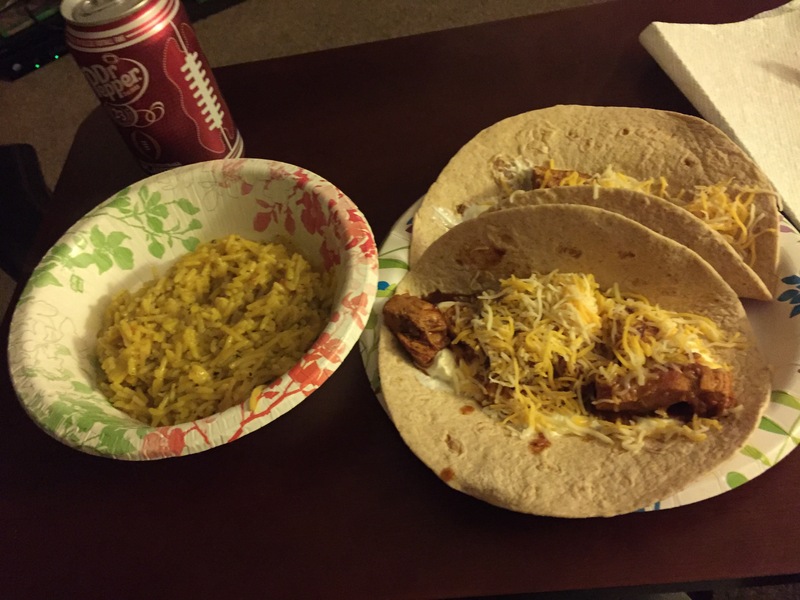 We cooked chicken breasts in taco seasoning and served on wheat tortillas with yellow rice, sour cream and cheese. As of this morning, Kenneth is down 7 pounds and I couldn’t be more proud of his commitment to this change. This challenge has been a great addition to our nightly routine and both of us are enjoying the fun we’re having in the kitchen. 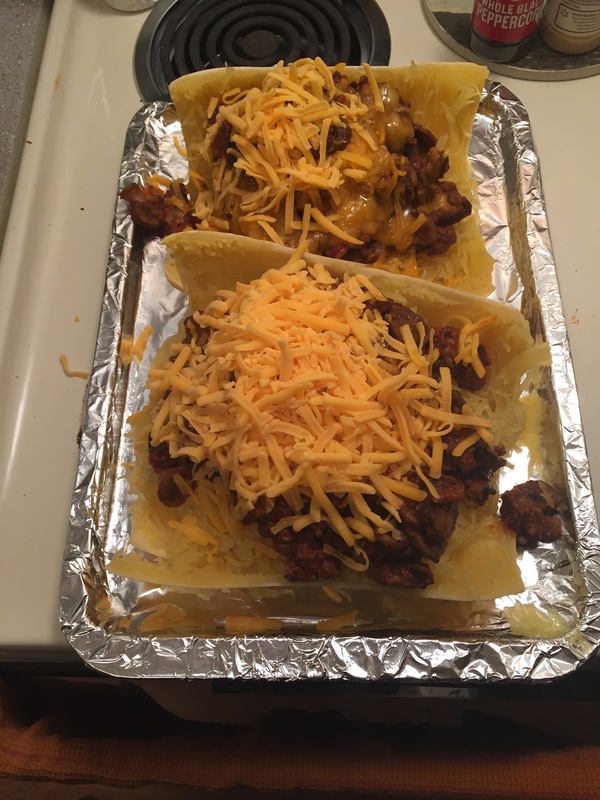 What’s your favorite easy, clean recipe?